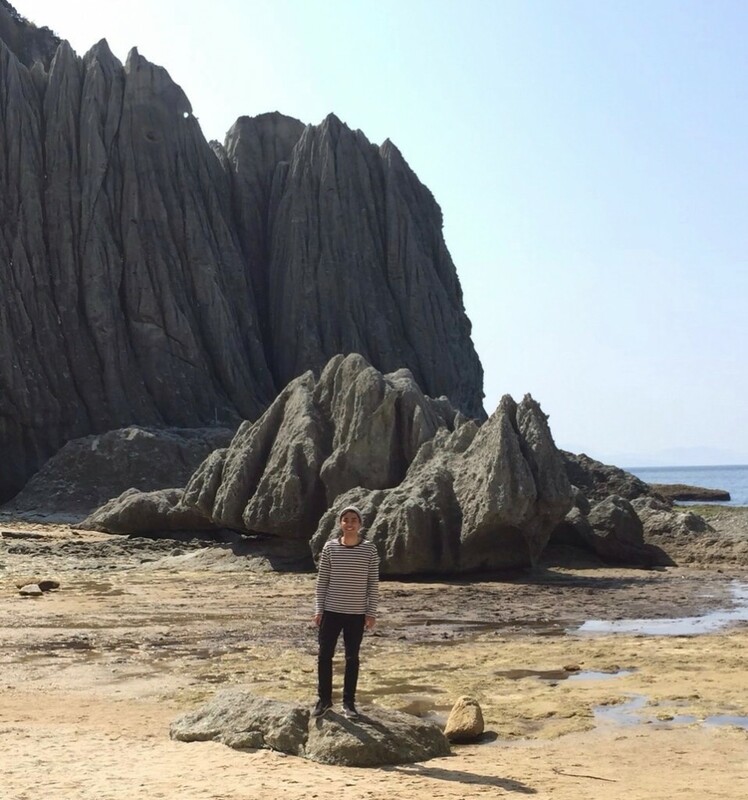 Situated at Sai on the southern tip of Shimokita’s axe-shaped peninsula is an elegant rock formation known locally as Hotoke-ga-Ura. This nationally designated Natural Monument derives its name from the wind carved cliffs that resemble the stoic supreme Buddha. Although Aomori is renowned for its snowy landscape, Hotoke-ga-Ura serves as a reminder that northern Japan has beauty to offer all year round. Visitors who wish to see the cliffs can depart from the Aomori Convention & Visitors Bureau ferry terminal located 10 minutes north of the main Aomori City JR train station. 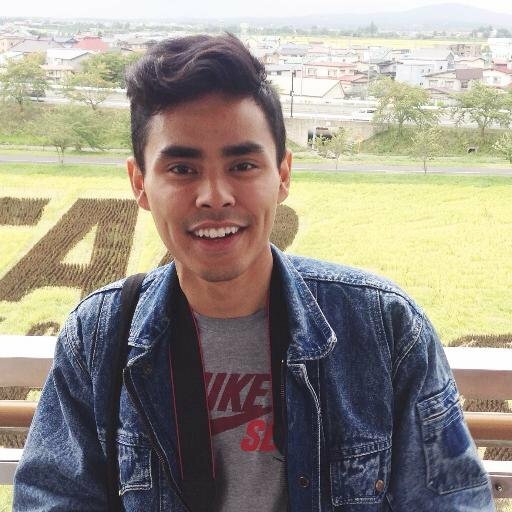 There is only one round trip a day from Aomori City to Hotoke-ga-Ura. 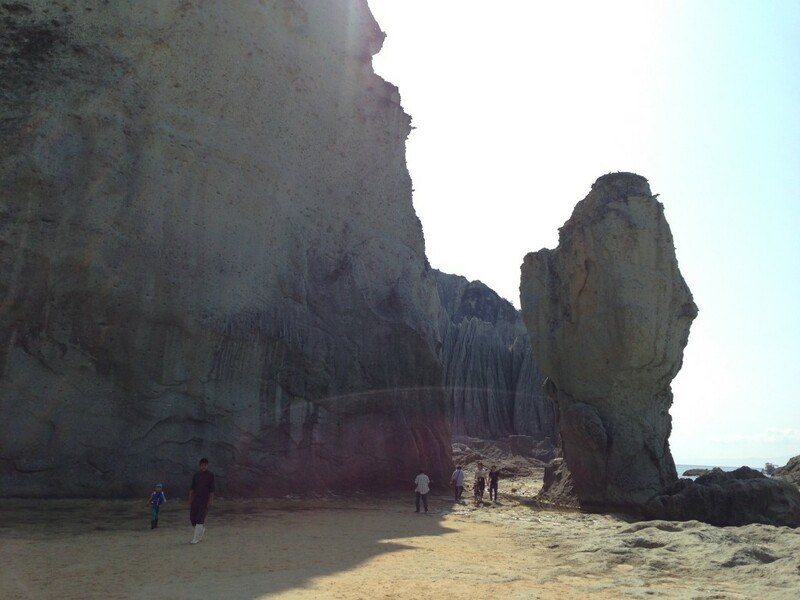 The ferry departs from Aomori city at 9:40 AM and arrives at the rock formation at noon. 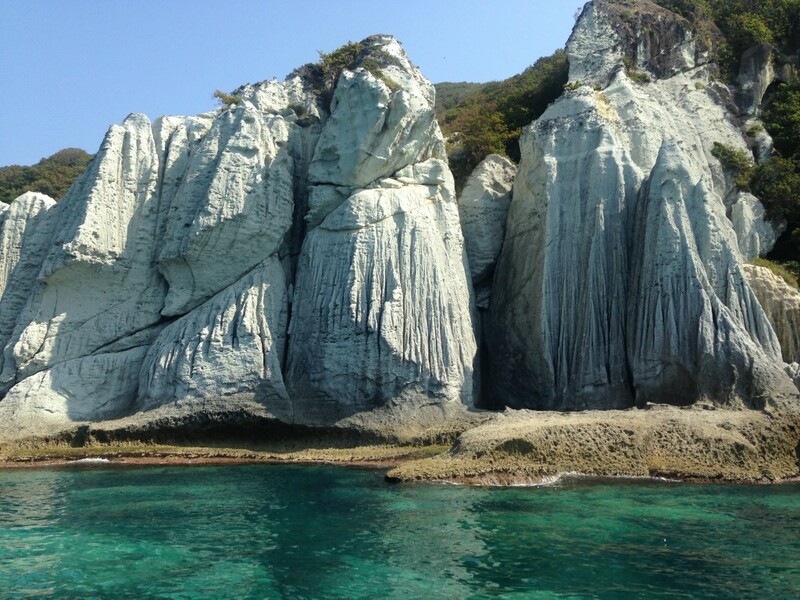 Visitors can disembark and explore the geological scenery and crystal blue waters for approximately 50 minutes. The ferry returns to Aomori City at 3:00PM. It is recommended that visitors bring food along with them for the 4-6 hour journey— there are no places to buy food at the actual site. Known as kousa (literally: yellow sands) in Japanese and Asian Dust in English, a powerful metrological pressure front picks up sand from China’s northern deserts and slams it into the Japanese coast. 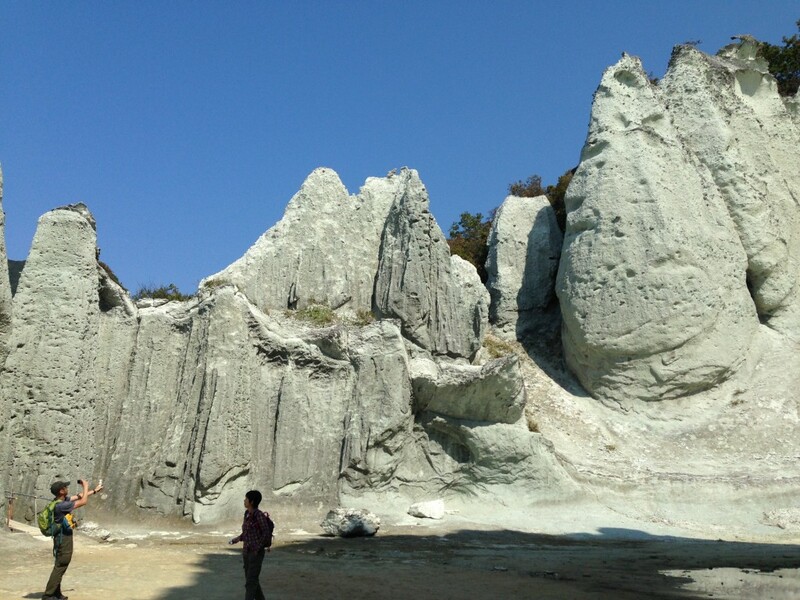 Over time, the sand particles have slowly eroded the rock formations of Hotoke-ga-Ura into their unique shapes. Standing amongst the giant towering stone ‘Buddha’ was both humbling and serene. Breathing the site’s clean air and strolling by its clear water was mentally rejuvenating. 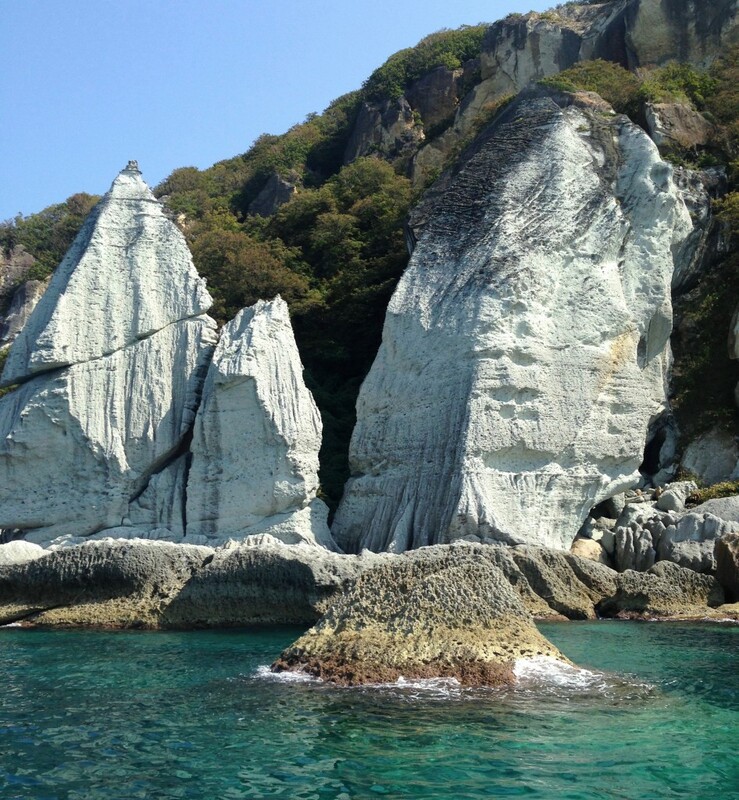 Visitors to Aomori should take the day cruise across Mutsu Bay to see why the rocks of Hotoke-ga-Ura are named after the Buddha himself.